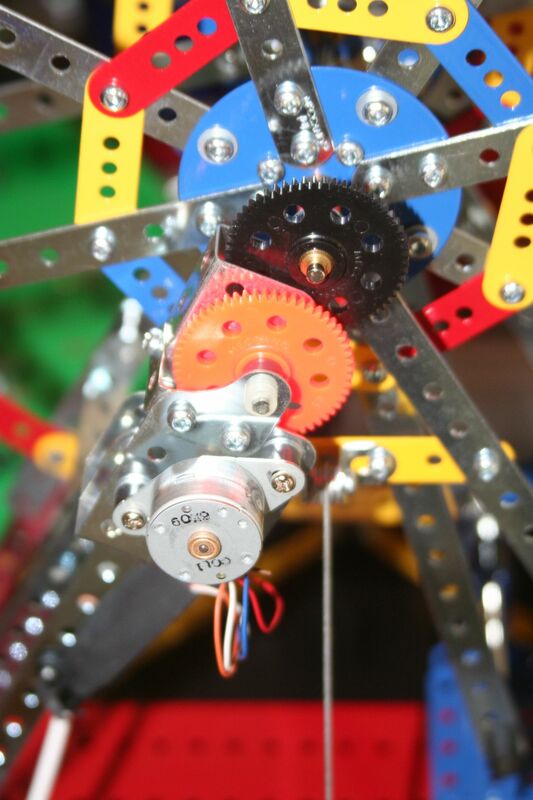 Here's a simple and effective modification to the Meccano 8257 Ferris Wheel Kit. Build up the basic model, but invert the main shaft hanging triangular plates so that they are above the apex of the supporting 25H strips. Make up a 9:1 reduction gearing as shown, to connect the small Meccparts Stepper motor to the main shaft. ; to the ferris wheel.